Remotely detect, alarm and resolve many common problems encountered with conventional downhole rod pumping equipment. Built-in optimization that give you the flexibility to quickly respond to changing flow dynamics. The result is an intelligent artificial lift system that maintains peak efficiency. 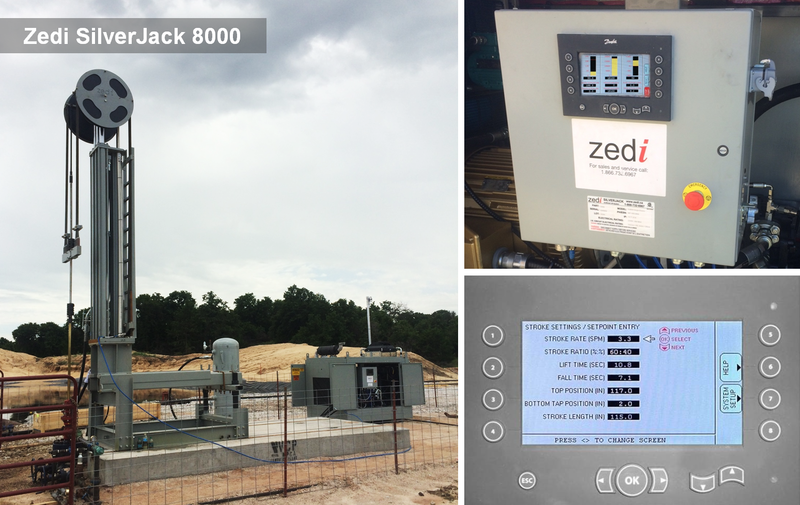 The system allows for flexible life cycle programs by first installing a Zedi SilverJack 8000 during a well’s high producing stage, and replacing it with a Zedi SilverJack 6000 at a well’s low producing stage without compromising optimization capabilities. Knowledgeable and experienced Zedi Field Technicians will install equipment onsite, provide maintenance and repair services, and respond to technical inquiries. Customer Care and Optimization Service experts are available 24 hours day, 7 days a week. For more information, click here to contact an expert. New Era of Oil Well Drilling and Completions—Does It Require An Innovation In Rod Pumping?